This week on LGBTuesday we actually get to talk about more than one queer character as we take a look at the TV comedy series Brooklyn Nine-Nine. The Library recently acquired all four seasons, which are currently available on DVD, for our TV DVD collection, so if you’re looking to binge the show now is the perfect time. Brooklyn Nine-Nine is a police comedy set in the fictional 99th precinct of the Brooklyn Police Department. It follows a large ensemble cast of detectives and their captain on the cases they take and two of the ensemble cast are comprised of queer characters. The most notable queer character on the show is Police Captain, Raymond Holt, who was revealed from the first episode to be a gay man in a committed relationship with his devoted husband, Kevin. The other queer character is Rosa Diaz, one of the detectives in the precinct who came out to her coworkers in the current season as bisexual. 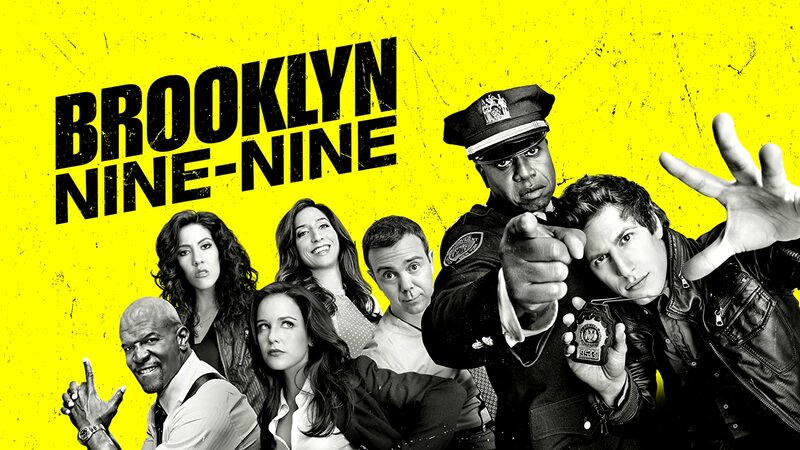 This show has great representation between two queer characters, and a diverse staff of different cultures including two black superior officers in Raymond Holt and Terry Jeffords. Queer identity is worked into the show naturally and feels realistic. 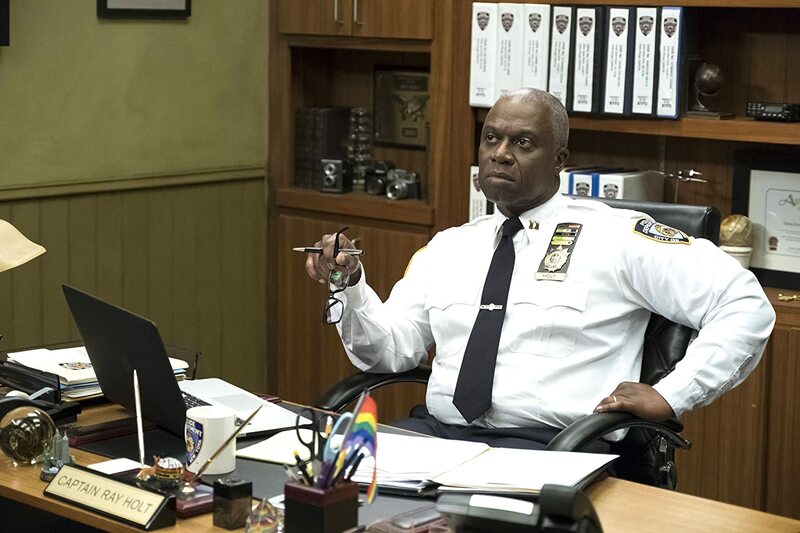 Raymond Holt has always been defined as a gay man and the show goes into how this affected his relationship with other in his past, as he’s worked in the force for over 20 years. He has a rainbow flag on his desk in his office and will even make jokes about being gay to his coworkers when it fits in naturally to the dialogue. 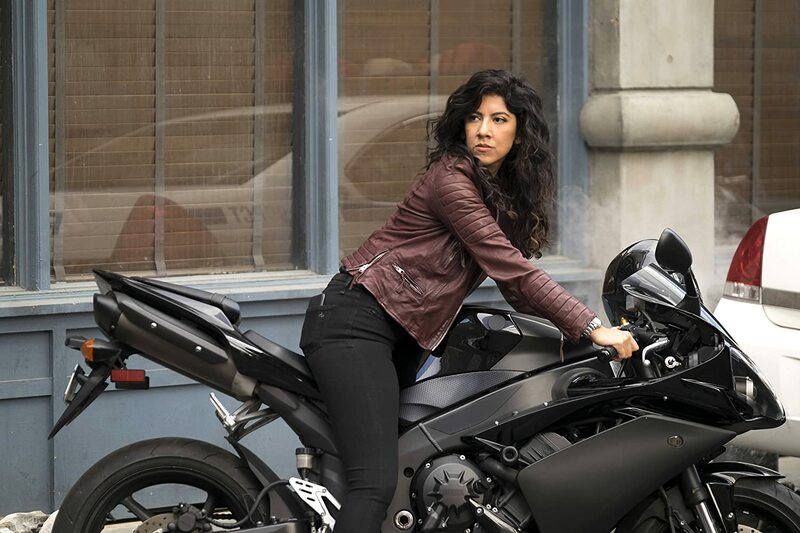 Rosa Diaz wasn’t revealed to be bisexual until recently at the request of the actress who plays the character, Stephanie Beatriz, who identifies as bisexual as well. This reveal actually does fit well for her character who has always been played as a private person who doesn’t like to reveal much about her personal life to her coworkers. The rest of the ensemble cast are great in the show as well. From the Sargent Terry Jeffords who is a strong man obsessed with family, to the lazy secretary with a gift for showmanship, Gina Linetti, the cast is filled with many great characters who often circumvent or round out tired troupes. Brooklyn Nine-Nine is a great comedy, with interesting characters who grow over the course of the series into better people. One copy of each of the four seasons out on DVD is available with the season four DVD located in the Library’s new materials. Find them in our catalog here.